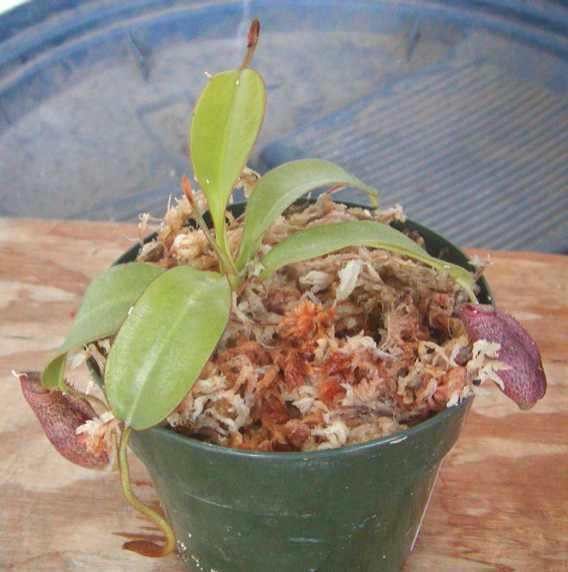 This hybrid is between two highland parents: N. burbidgeae and N. edwardsiana. The reason I purchased this plant was because of the N. edwardsiana in it. 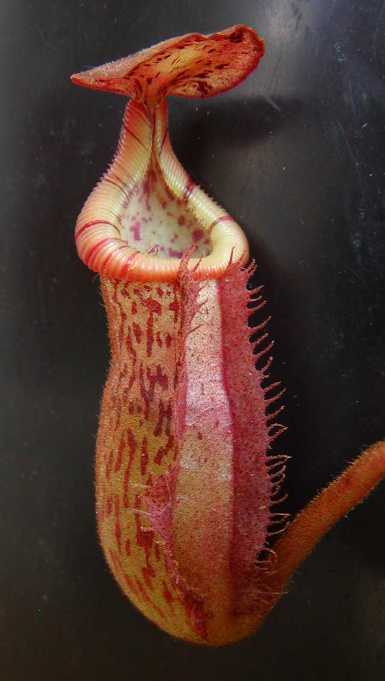 I grow the subspecies N. macrophylla that is an absolutely fantastic species and very closely related to N. edwardsiana that is considered one of the most stunning Nepenthes. From what I've heard, this clone appeared different from other seed grown N. burbidgeaes that Malesiana Tropicals was growing at the time. I guess from the appearance of the peristome and perhaps where the seed was collected N. edwardsiana was considered the pollen donor. The plants are from tissue culture so there may not be any variation between plants grown out unless there is more than one clone in cultivation. Currently I don't know if there is. I have found this hybrid to be a steady grower that can take full sunlight. Right now this is the only hybrid with N. edwardsiana that I've heard about.